Sweet potato wraps are best suitable for lunch box. It is very healthy and filling for working people and kids. It can be eaten on any vrat especially in navratras. Today I made this wraps for the first time and it turned out really good. It is sweet, tangy, savory and spicy too. Even meat-and-potato-loving husband love this dish. If you don't want roti, you can serve this as a curry. Leftovers can be refrigerated for 3-4 days or frozen. 1. 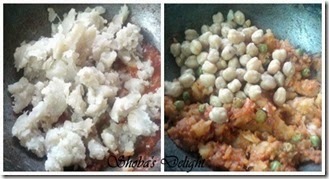 Soak the chickpeas(Kabuli channa) for almost 8 hours.Steam your sweet potatoes and chickpeas for about 10 mins, till softened. 2. 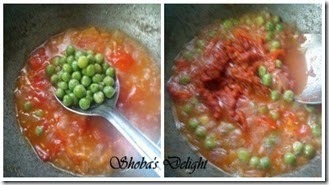 Heat oil in pan, add mustard seeds and onion, tomatoes and peas .Now add the curry paste ,stir properly. 3. Add sweet potato, chickpeas.Check for salt and add little some water. 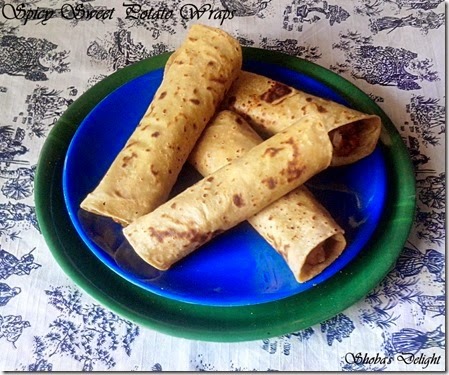 Prepare 4 to 5 roties simultaneously and keep aside.In a plate,take one roti and place the sweet potato filing on top.Slowly wrap it,see to that the filling does not come out in any ways.Enjoy Your Spicy Sweet potato Wraps and have a great day. 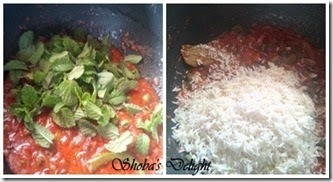 Tomato rice is the popular and common variety rice recipe in South India. 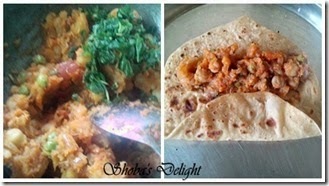 This is a one pot meal and it can prepared very quickly and also it is one of the ideal lunch box menu. This time it is the slightly spicier tomato rice. I got loads of tomatoes so I had to work quickly to use them up in several different dishes before my great deal turn into a great loss. I had some stock of fresh peas in the fridge so decided to pair them up together. My son ate it with some crispy and spicy potato chips and I enjoyed it with cabbage raita. 1. Cook the basmati rice with the vegetable stock. Fluff with a fork or spoon and keep aside. 2. Heat oil in a large pan. Now throw some cashewnuts and wait it becomes golden brown. Keep it aside.Add cinnamon stick, bay leaf, fennel seeds, curry leaves. Now add onions and green chilies, and sauté till the onions are translucent. .4. 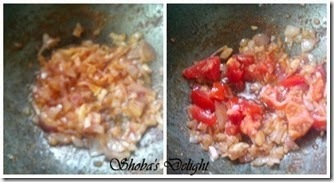 Open the lid and mash the tomatoes lightly with a spoon. 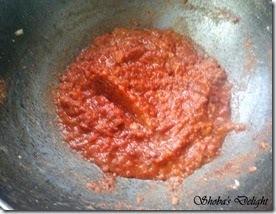 The consistency should be that of a thick gravy so as to coat the rice well, but not too watery. 5. Add the soaked basmati rice. Mix well, taking care not to mash the rice. Pour water and give a quick stir.Check for spice and salt before closing the lid. Garnish with cilantro. Serve hot with raita. Choose tomatoes that are well ripened for this recipe because when cooked it becomes like gravy so that the rice coats well with the tomato and gives more taste. Can also be served with potato curry. Sri rama navami is the most important festival celebrated all over India. Panakam is a traditional drink made during Sri Rama Navami, the birth of Lord rama.It is also a great summer cooler. Many special neivedyams are prepared, but two of which are prepared by all Indians------Panakam and Vadapappu. Panakam is a very good summer coolant with rich aroma and taste. Unlike the teertham which is given in small quantity, this panakam is given with tumblers to all the devotees in every Sita Rama temple. 1. Dissolve the powdered jaggery in water. Add cardamom powder, dry ginger powder, pepper powder and salt. 2. Squeeze lemon juice and Give standing time for about 15 minutes till the jaggery gets completely dissolved. 3. Filter the mixture using a strainer to remove the impurities.Refrigerate for an hour. Serve chillied with tulsi on top. A pinch of Edible camphor (pachai Karpooram) can also be added to get the temple drink. Salt is added here to enhance the taste. Vadapappu is one of the neivedyam offered to God on Srirama Navami. Vadapappu is said to be Goddess Sitadevi’s favorite and Panakam is said to be Lord Srirama’s favorite. 1. Soak the moong dal for an hour or two. Drain the dal to remove the excess water. 2. In a bowl combine moong dal, grated coconut and cilantro.Add lemon juice. 3. Heat a small pan with a tsp of oil and add the seasonings. 4. 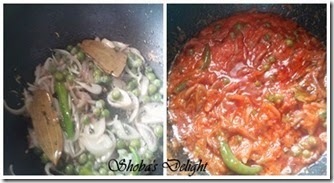 Transfer the dal and mix well.Serve it.